UKMedix offers genuine prescription medication from many genuine pharmaceutical brands whose medication is trusted and used by millions globally. The medication we offer has been scientifically tested and trusted for its success in the treatment of particular conditions. We offer genuine Crestor from Astra-Zeneca and not a generic option. We've a team of qualified doctors on standby ready to offer the advice, prescription and help you need online. We have an effective web consultation platform that gets our medical team the answers and information needed about you before they offer the treatment you require. Contact UKMedix medical team with any question and receive help and advice free of charge without obligation. 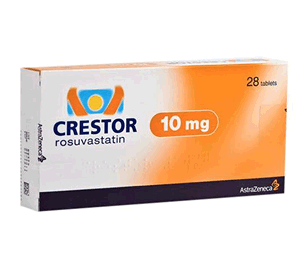 Crestor is essentially Rosuvastatin calcium, a lipid-lowering synthetic oral medication. Once it has entered the liver, Crestor starts to control body cholesterol since it's the organ where most of cholesterol is build up. Most of the cholesterol is created when a person is asleep-one of the reasons why Crestor should be used at night. Chances are many people still wonder what high cholesterol is including what essentially cholesterol means. Cholesterol, a "lipid" is a waxy and fatty substance created inside the liver that can be found within the bloodstream. The substance is also found in fatty foods such as whole-milk dairy items, shellfish, egg yolks and meat. Cholesterol is a critical part of cell functioning and structure but generally harmful to a person's health if too much within the blood. High levels of LDL or "bad" cholesterol in the body might end up causing different conditions such as arterial hardening or Atherosclerosis, including being a serious risk factor for such diseases as coronary heart problems leading to strokes and heart attacks. In the case of high cholesterol most people hardly feel the symptoms. However, high cholesterol should never be ignored due to its health harming nature. Whether a person has high cholesterol it really depends on such as things as genetics or family history and lifestyle factors, such as consuming excess fats without getting proper physical training and exercise leading to an increase in the level of cholesterol. While doing a blood test to ascertain cholesterol levels, doctors usually evaluate three different components namely LDL cholesterol or "bad" cholesterol, HDL cholesterol or "good" cholesterol and Triglycerides, a type of fat in certain foods and secreted in the liver as well. You are considered to have proper or the right cholesterol level if you've the right levels of the three different cholesterols. Rosuvastatin calcium works inside the liver to ensure cholesterol is properly controlled. Crestor inhibits a specific enzyme found within the liver required in the creation of LDL cholesterol within the body. After blocking the enzyme, triglycerides and LDL cholesterol levels in the blood goes down marginally while increasing the levels of HDL or "good" cholesterol. As a result Rosuvastatin calcium lowers the chances of arterial hardening development and lowering the chances of strokes and heart attacks in the process. UKMedix doctors advice patients to double the efforts of Crestor by taking a diet with low fat saturation and engage in some physical activity or exercises as regularly as possible. How Does High Cholesterol and Lifestyle Connect? For many people who speak to the UKMedix doctors it's hard to understand cholesterol is important in the body and at the same time unhealthy. There's a feeling today that cholesterol is bad. Essentially, high cholesterol is what is bad for the body but the right balance between "bad" and "good" cholesterol and triglycerides is very important. High cholesterol indicates an increase in LDL or "bad" cholesterol and harmful to a person's health in the blood. It ends up a build-up of plaque, a hardy, thick fatty deposit that results in clogged arteries. Progressively, it ends up in a disease known as atherosclerosis. A build up of plaque and unchecked high cholesterol is generally linked to genetic makeup that no one can really change. On the other hand your lifestyle could be the culprit, which is great news since a person can actually do something about it for a healthier and richer lifestyle. Saturated fat intake and fewer exercises raise the levels of cholesterol. Even as you take Crestor, for effective results your doctor can help you accomplish a positive lifestyle full of health by making certain changes such as stopping your smoking habit, consuming a low-cholesterol diet as much as you can, working out regularly and losing as much weight as possible for those who are overweight. Are There People Who Shouldn't Use Crestor? Those who are pregnant, about to be pregnant or nursing, anyone with a liver problem or allergic to Crestor should avoid cholesterol medication. In fact UKMedix advice that before beginning Crestor treatment you ask for blood tests from your doctor to check the health of the liver. Also talk to your doctor before starting Crestor treatment if going through unexplained muscle weaknesses and aches, determined kidney problems, taking alcohol daily, history of thyroid problems, over 65 years of age or to some extent an individual of Asian descent. Should I Purchase Crestor Online? Seeking cholesterol treatment is always a good idea to avoid heart attacks and stroke. 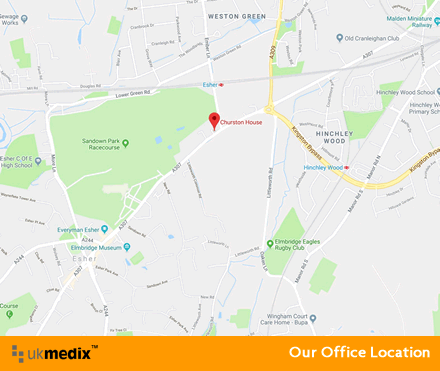 UKMedix offers a confidential, fast and private service with lots of advice and help from professional doctors with lots of experience in various medical fields. These doctors give you a chance to have your medical problem determined and the right treatment prescribed online. 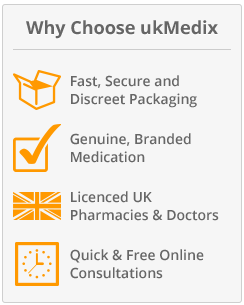 UKMedix is a genuine website offering trustworthy and authentic medical prescriptions and quality medications regulated and licensed by the government. UKMedix are allowed to sell Crestor among other drugs and carry an approval MHRA badge on our website. All the information on certification can be accessed at the MHRA official government site. Crestor is a delicate medication and buying from an illegal site could be harmful to your health causing serious harm to your liver and other organs or even death. Does Crestor Have Side Effects? One thing UKMedix understands is that all the questions on Crestor you might have in your mind probably remain unanswered. Considering lots of sites have very scanty information of which might not answer the questions that you have, UKMedix team of doctors are open to communication any time you're ready. Talk to our professional medical team directly today and receive all the information you need. Remember that the advice, help and information you receive is free of charge and you're not obligated to buy any kind of treatment for talking with UKMedix doctors.